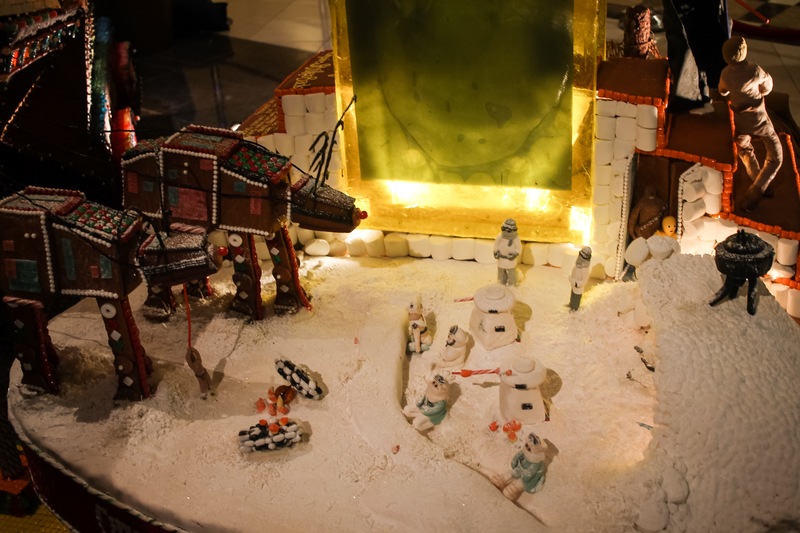 I recently checked out this year’s huge seasonal Gingerbread Village at the Sheraton Seattle Hotel. 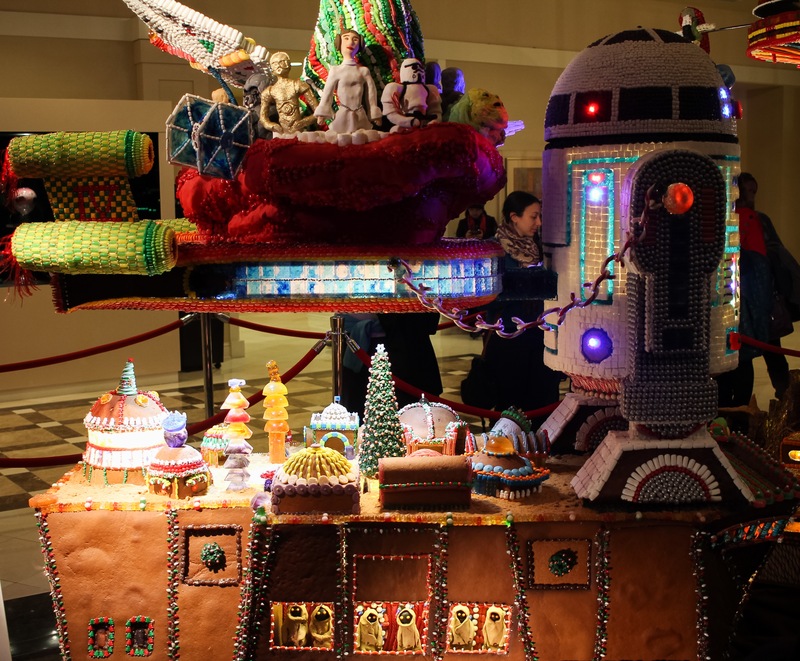 Every year has a theme and this time it’s all to a galaxy far, far away. 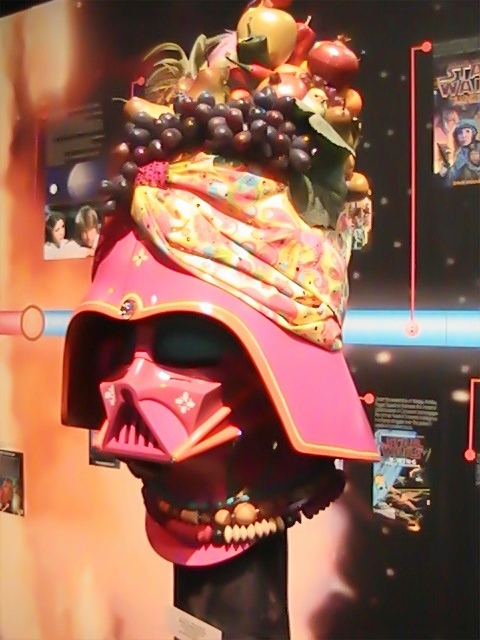 It’s all Star Wars!! Also, the Village promotes the cause of the Juvenile Diabetes Research Foundation (JDRF) for treatments and research. Children dealing with Type 1 diabetes helped with each display, working with various architecture and construction firms to make each one impressive. I am huge sci-fi, nostalgia geek at heart. The kid in me of all ages in me cheered to this display collection of all the movies, which I enjoyed (even The Phantom Menace). I also look forward to the next chapter, The Force Awakens. 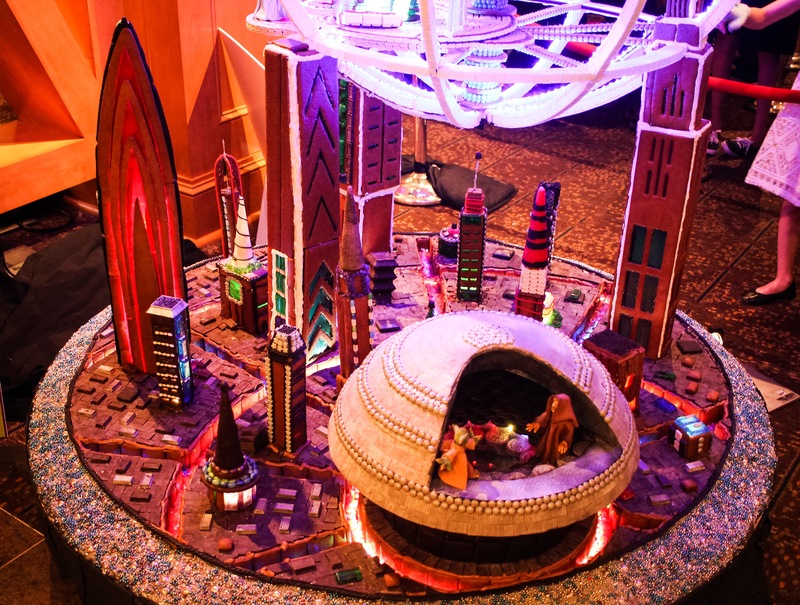 The display is open to the public and free, and it’s located near the Washington State Convention Center in Downtown Seattle, at the Sheraton hotel. 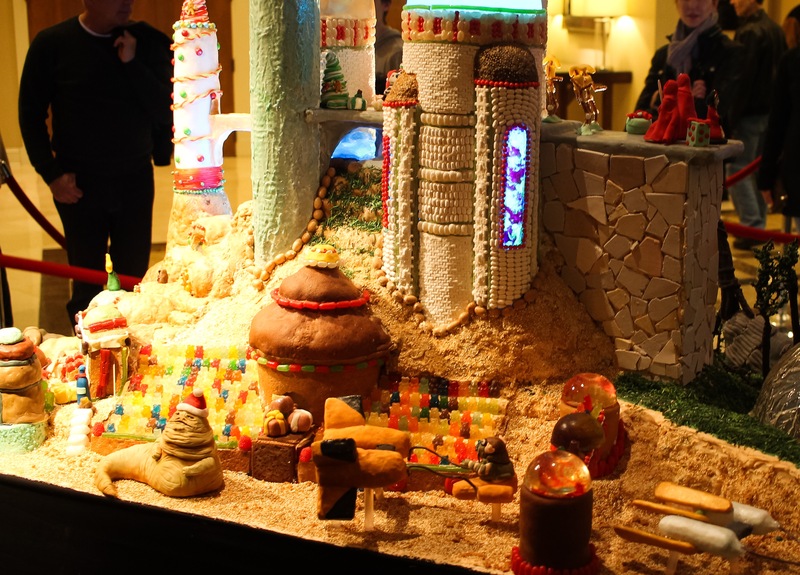 The Gingerbread Village is here until January 3rd, 2016. You may also be encouraged to donate money to the (JDRF) Northwest Chapter while there. For more site and event information (and donation info), click here. here are below are a few pics of the display. I posted a lot more with more info about on another site I post for, at strangerworlds.com. Click here for more awesomeness! get a free comic book! a new Doctor Who episode! Happy Monday. For many reading this, this is the beginning another long work week. For some, this means heavy goal setting and impressing ourselves. For others, relentless work including: letters, proposals, brainstorming, massive paperwork, countless emails, calculations, heavy lifting, exceptional customer service. Those in need of work are likely on the job hunt: revising resumes, pressing outfits, other self-sellings. College students are back from spring break, probably stacking notes and outlines toward their semester finals. Also for many US citizens, that tax deadline is faster approaching. In times of stress, we could use a motivational iconic figure. Someone, whose wisdom comes from a galaxy far away. He could say something wise and wonderful, out us on track, ready those cover letters, develop solid thesis statements, place those exact numbers on charts, straighten our ties, make smiles effortless. 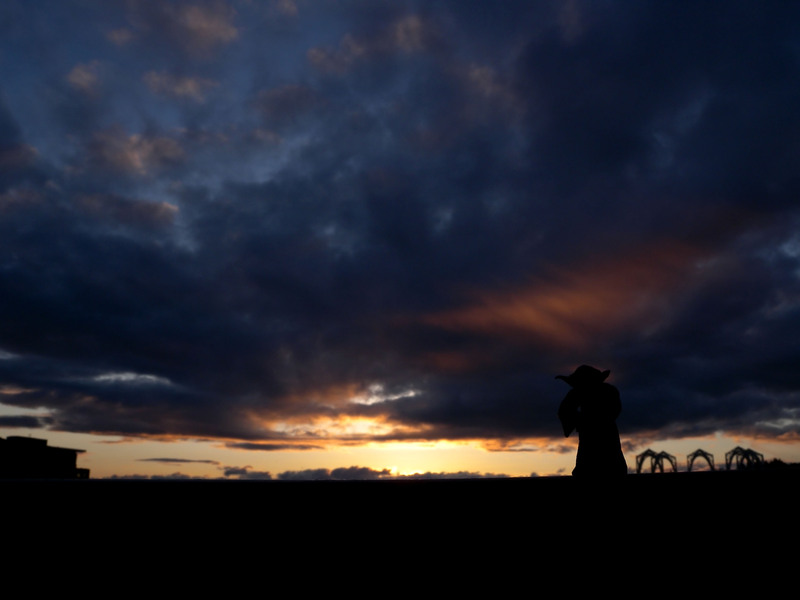 Seek Yoda, the wise and powerful Jedi from the Star Wars franchise. So there you go, all from a wise wizard elf-man, as quoted from a few Star Wars films (mostly Empire Strikes Back). Think, for the next forboding moment. What would Yoda do, say? How would he handle a troubling situation or stress buildup? His calm demeanor and self confidence produced heroes, helped win wars, organize large groups, and kept him looking good for over 900 years. 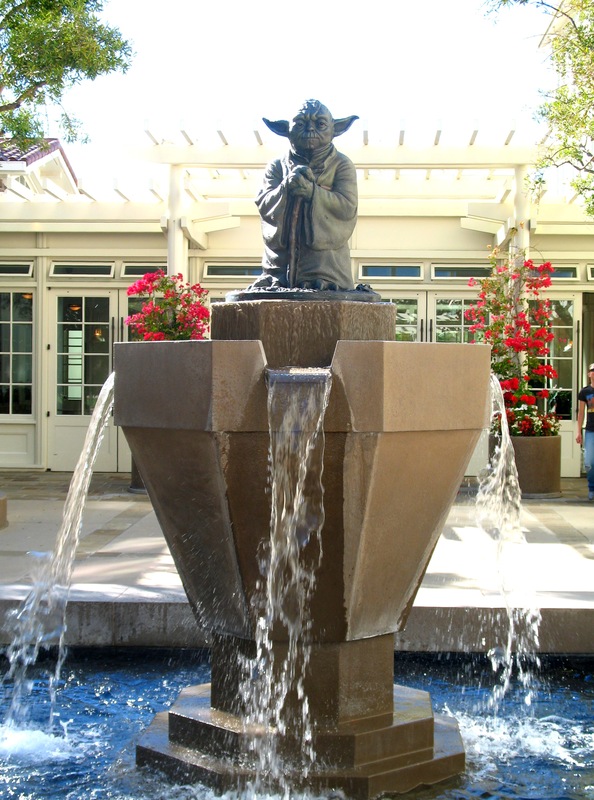 The picture above, is a life-sized Yoda statue on a water fountain (photo by me). You’ll can find the entrance to the Lucasfilm Ltd. corporate headquarters office in San Francisco, within the Presidio area, very near to the famous Palace of Fine Arts. For the exact location, click here.